I was able to fulfill half of my Catholic duties for yesterday, I was able to attend Ash Wednesday mass with him. It's been a week since I attended mass and I was happy to realize it was already Ash Wednesday. 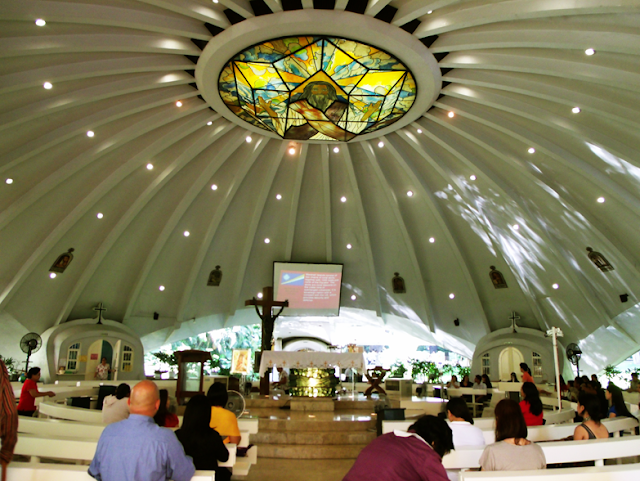 We met up at my work, had breakfast and headed to Greenbelt for the 9:00 am mass there. 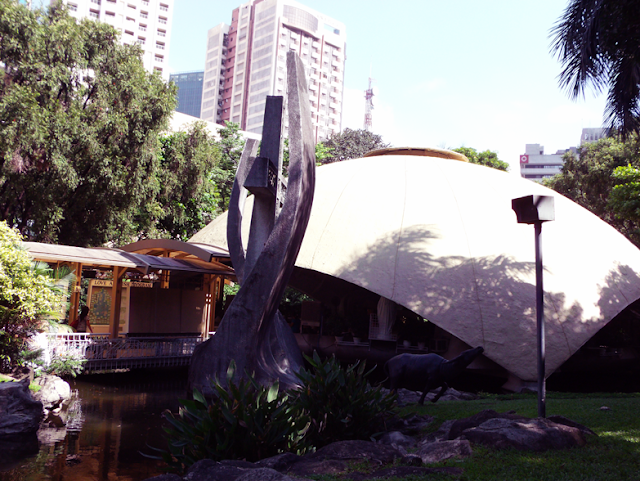 I was at awe at this little church in the heart of Greenbelt! The last time I was here, I think I was 7 years old. And everytime I'm around the area, I was never able to go back here. 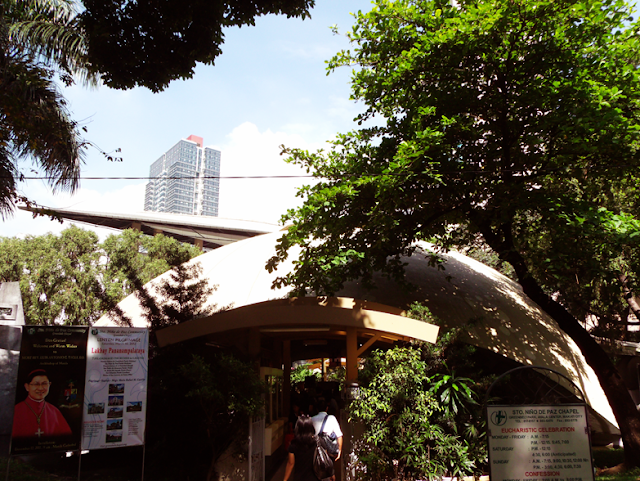 After the mass, I took some photos of the place. It was such a nice way to start the morning. 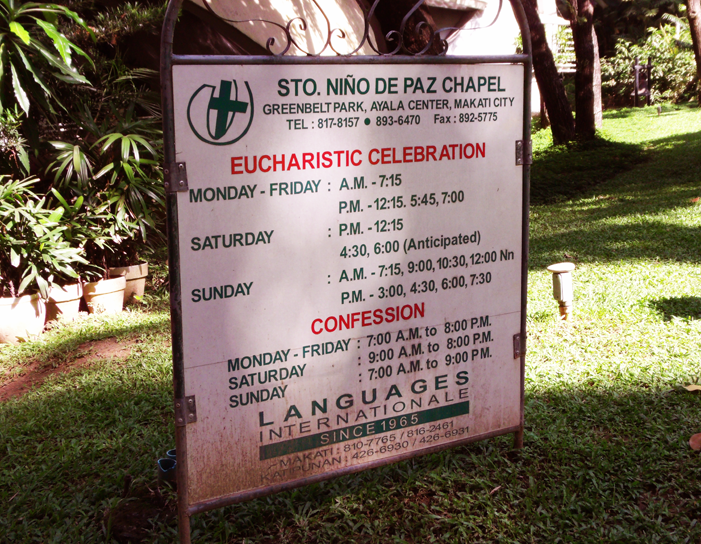 And as I said, I only fulfilled half of my Catholic duties that day because I wasn't able to fast. I let him try Auntie Anne's pretzels and I'm pleased that he liked it. Hehe. We watched a movie (surprise, surprise! Unofficially Yours!) at Glorietta 4 and ate at SM Makati's Food court for a change. 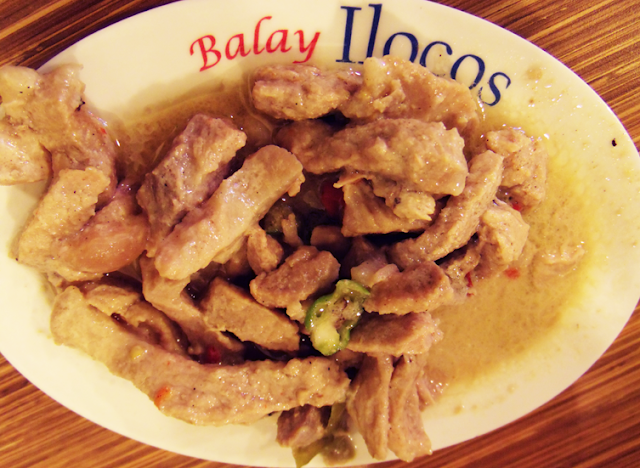 And I love you too, Bicol Express. Since I haven't gone to Bagnet 8065 yet, I get my Bagnet fix from Balay Ilocos always. And I love that they serve both of my favorites. Hehe. Everything's a little cheaper too. The serving's small but that's okay. Hehehe. 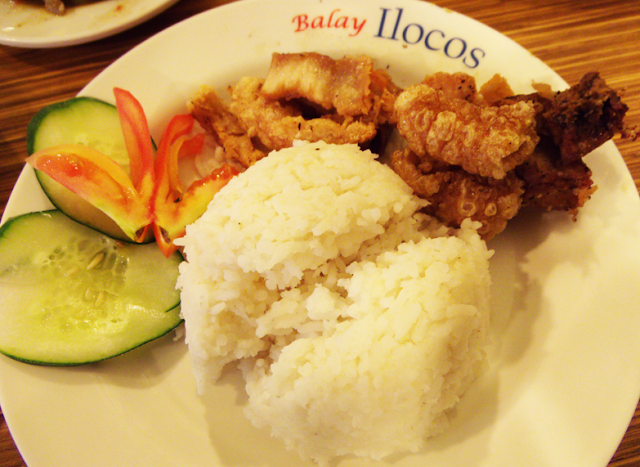 Bagnet was crispy and delicious, the Bicol Express could've been a little spicier though. 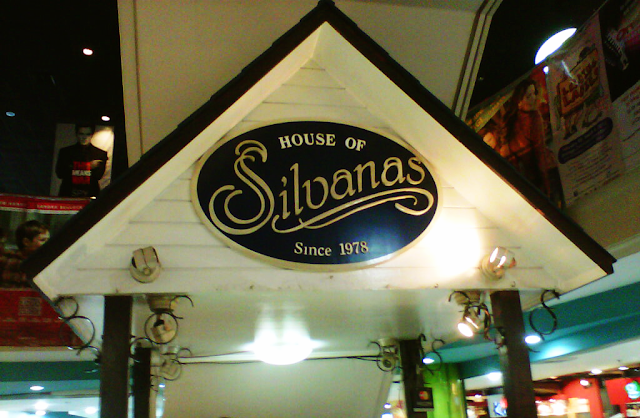 And finally, before heading home, we dropped by at House of Silvanas to take home some of their sweet treats. Sansrival. This is what's left when I woke up today. 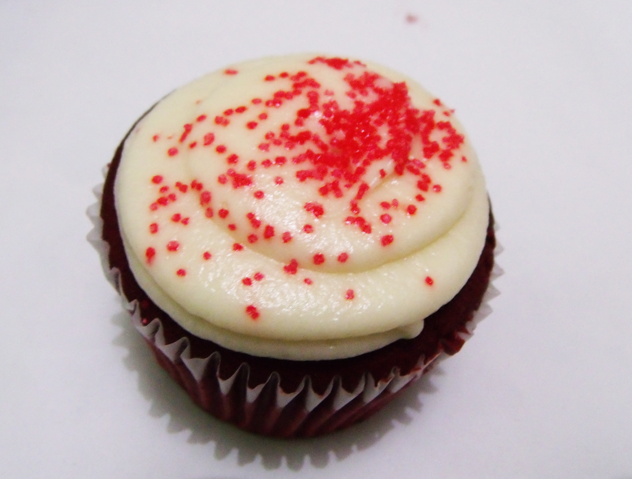 I chose Red Velvet cupcake and his was the Blueberry Cheese cupcake. And like what they say on MasterChef, those cupcakes were definitely to die for! I can't get over the Red Velvet cupcake. It really, really tastes good. 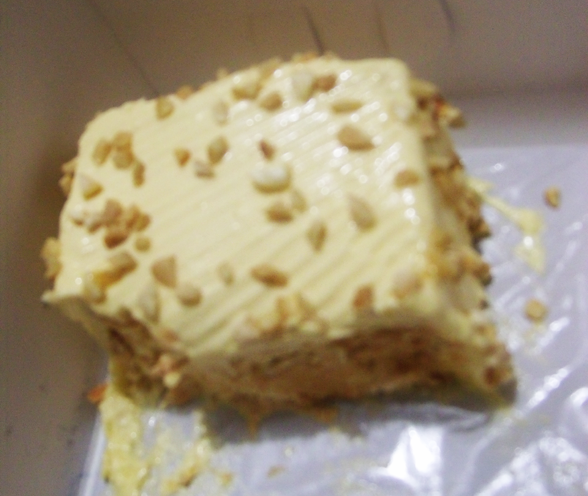 The Sansrival from House of Silvanas is part of Spot.ph's Top 10 Sansrivals. And it certainly deserves a spot there. 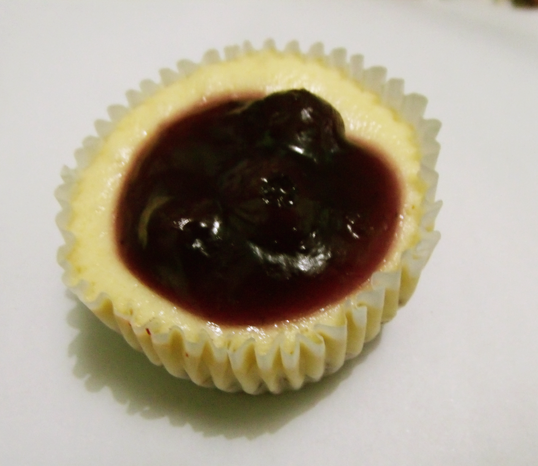 It's not too sweet but it tastes a little bit of cheese too! Definitely a must try and definitely one of the best Sansrivals I've tasted.